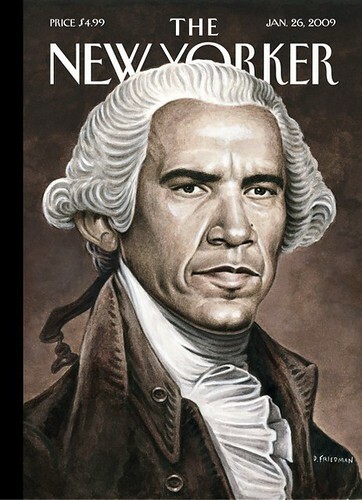 “Eustace Tillarobama,” by Ria Irvin and Seth. February 11 & 18, 2008. 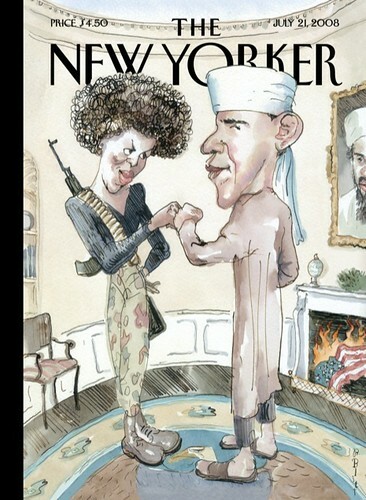 我来接 “I’ll Get It!,” by Barry Blitt. March 17, 2008. 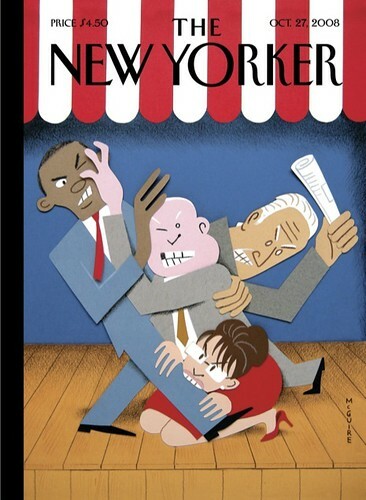 恐惧政治 “The Politics of Fear,” by Barry Blitt. July 21, 2008. 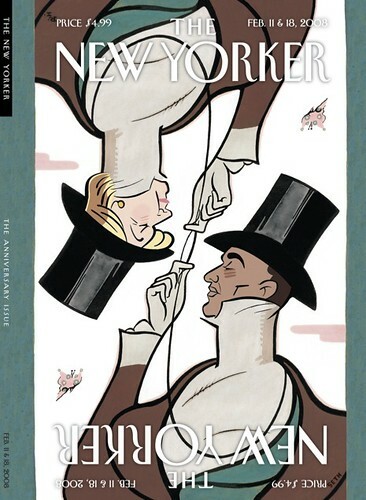 不失身份 “With Dignity,” by Richard McGuire. October 27, 2008. 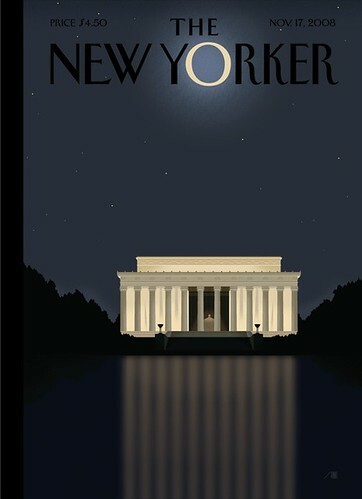 反射 “Reflection,” by Bob Staake. November 17, 2008. 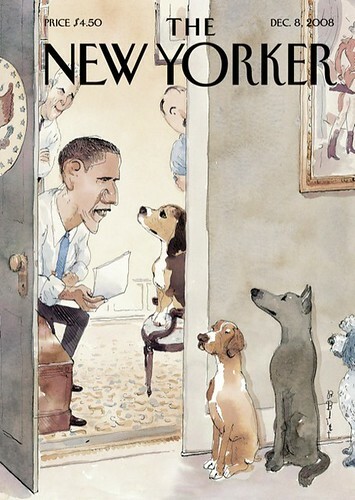 审查 “Vetting,”（vet亦有兽医之意） by Barry Blitt. December 08, 2008. 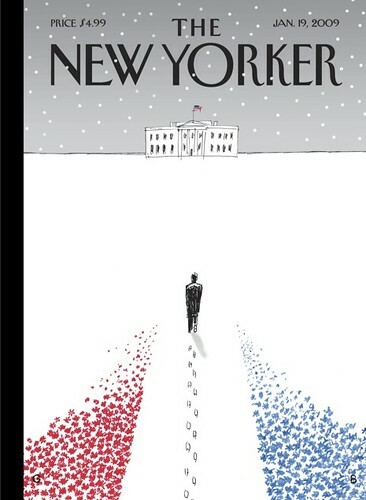 通往白宫之路 “To the White House,” by Guy Billout. January 19, 2009. 第一人 “The First,” by Drew Friedman. January 26, 2009. 米歇尔.噢! 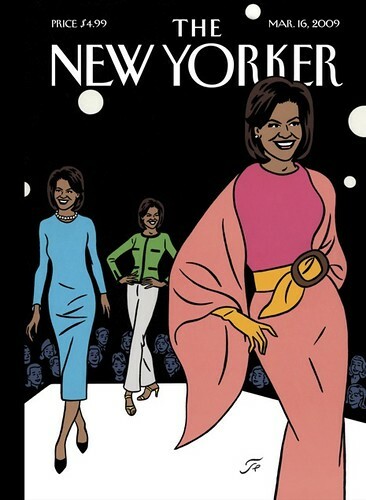 “Michelle O.,” by Floc’h. March 16, 2009. 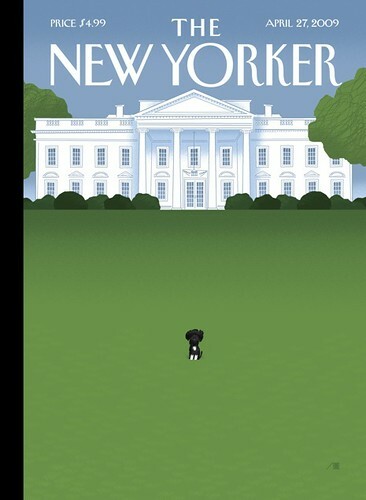 “Bo,” by Bob Staake. April 27, 2009. 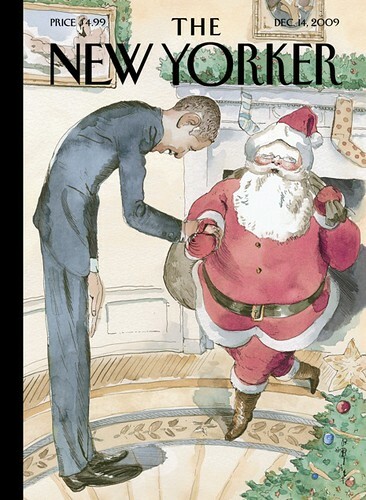 冬天的问候 “Season’s Greeting,” by Barry Blitt. December 14, 2009. 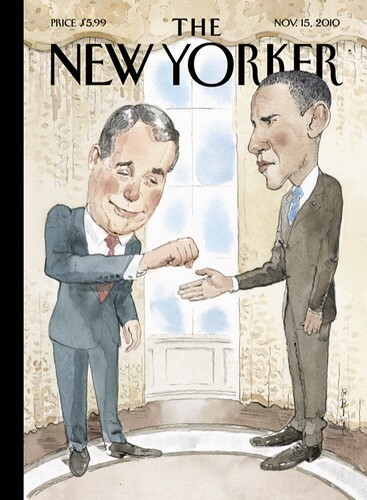 碰撞 “Bumped,” by Barry Blitt. November 15, 2010. 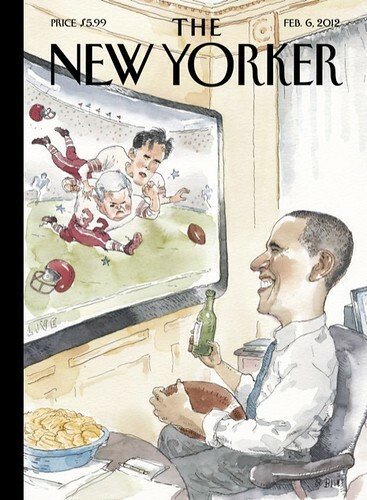 大游戏 “The Big Game,” by Barry Blitt. February 06, 2012. 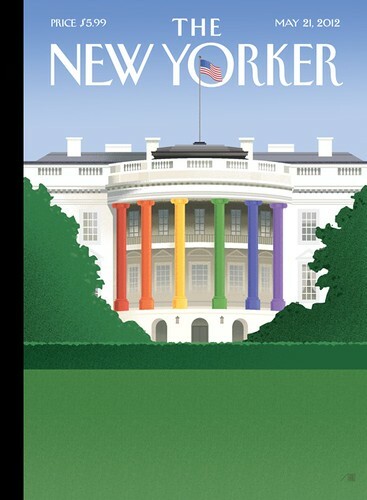 光谱 “Spectrum of Light,” by Bob Staake. May 21, 2012. 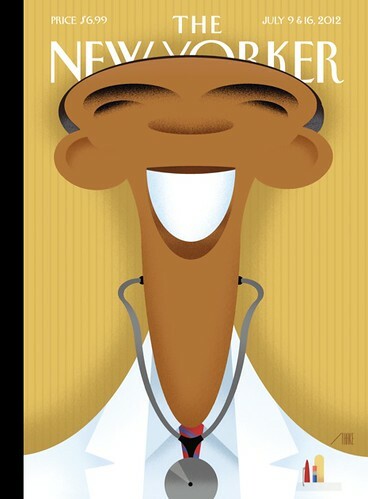 健康 “In Good Health,” by Bob Staake. July 09 & 16, 2012. 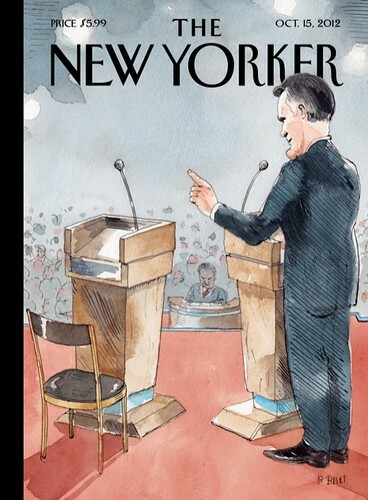 一对一 “One on One,” by Barry Blitt. October 15, 2012. 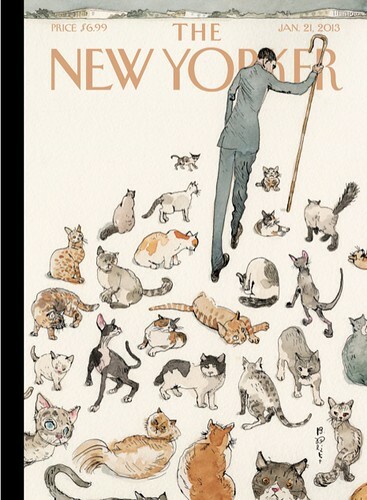 牧猫 “Herding Cats,” by Barry Blitt. January 21, 2013.